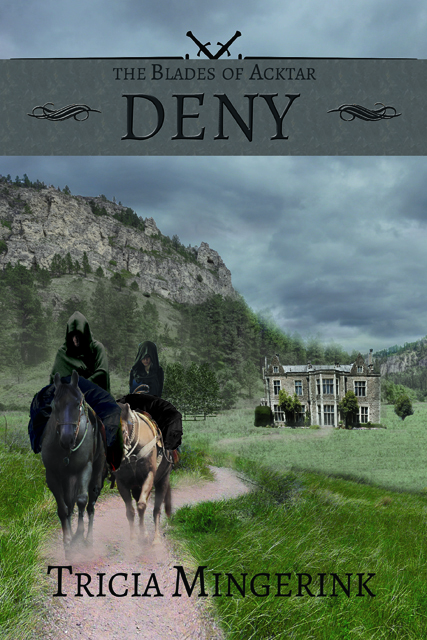 Yes, as you can see from the title, I have a cover for Deny! Whooohoo! My cover designer worked her magic once again, and I think this cover is even better than the one for Dare. A few reminders before I get to the big reveal. I’ll be at the Covenant Christian Craft sale this Saturday in Walker, MI selling signed copies of Dare. Since Deny releases 1 month from today (Eeep!) I’ve decided to also offer pre-orders for signed copies of Deny, which will be available for pick up the Saturday after Deny‘s release. More information will be available at the craft sale if you wish to place a pre-order. I also still have a few spots left in my launch team for Deny. If you wish to sign up, please follow this link and fill out the Google form. Like with Dare, I emailed Deny to my cover designer Ashley and pointed her to a few scenes that I thought would work best for the cover. We both picked out the same scene that we thought would work best, and she drew up a concept for it and put it all together. Wow, it looks amazing!!! 🙂 That’s so exciting!! It is super exciting to see it come together! Love it!! Looks like the story is going to be epic!!! 😀 Congrats! So excited to read Deny when it comes out! Thanks Tricia! I checked it out on Amazon, and completed my pre-order!! Can’t wait for Nov 30th when the book is delivered! Beautiful cover!!!!! I can’t wait to read it! I love it! I’m so excited!